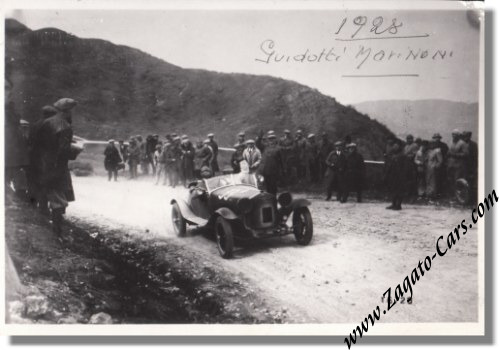 This is a photo from the Alfa Romeo historical archive that has apparently been used in some kind of publication as it carries a number of typical "printer's references" on it, front and back. 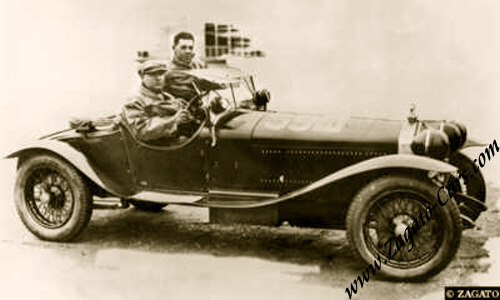 Both Attilo Marinoni and Battista Guidotti were experienced Scuderia Ferrari members and drove the relatively light Alfa Romeo 6C1500 Sport Spider Zagato to a 4th place overall. Their team mate Giuseppe Campari (the would-be opera singer!) secured the overall victory for Alfa Romeo and Ferrari in a similar car. 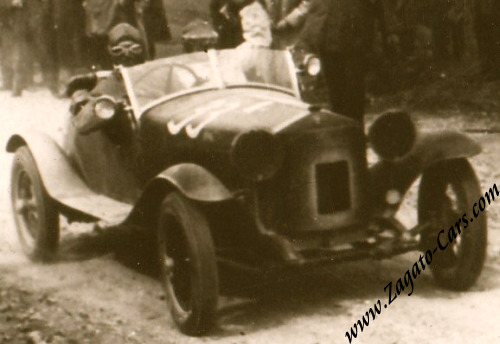 The cars, 6C 1500's, were especially prepared by master engineer Vittorio Jano.